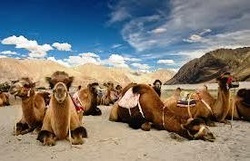 Kashmir Ladakh is two beautiful places in the top most regions of northern India contrary in the beauty and landscape. The Kashmir is peaceful and green adorned by apple orchards, huge valleys, fresh water lakes, streams filled with fishes, verdant forests and amazing natural beauty can be seen everywhere. On the other hand Ladakh is a barren land dry and infertile. The impression a traveler gets of Ladakh on first visit is a vivid picture of people in unique colorful costumes and headgear, small scattered houses here and there on the green patches of land. The inaccessible mahogany colored massive massifs of mountain peaks standing against the mottled sky, old ancient monasteries which have withstood the brutal winters and belligerent climate today stand as a beacon of knowledge & wisdom. Kashmir Ladakh package tour is a combined tour of these two great destinations, which takes our guests from beautiful vivacious valleys of Kashmir to the moonscape vistas of Ladakh.it is a juxtaposition of places and cultures, of pine forests and dry stony mountains, one side shows the soft green hues of nature the other end is hard to deal with. 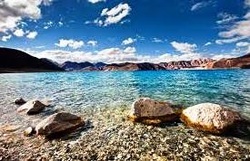 Ladakh harsh rugged beauty and dreary landscape clad and covered with high mountain passes, salt water lakes, and Gompas and prayer flags. The brass trumpets blown every morning and evening by monks send the waves of sound across the ocean of mountains. Ladakh and Kashmir travel packages are ideal tours to explore the beauty of these two Himalayan regions you can come along with your family or friends to enjoy the god gifted beauty, every look at the mountains and valleys during your Kashmir Ladakh package tour will mesmerize and fascinate you it will stay forever with you. Destinations: Srinagar - Kargil - Leh – Pangong Lake – Khardungla Pass. Duration: 06 Nights / 07 Days Package. 01 Nights accommodation at Srinagar in Houseboat. 01 Night’s accommodation at Kargil in Hotel. 01 Night’s accommodation at Pangong Lake in Hotel/Camp. 03 Night’s accommodation at Leh in Hotel. Destinations: Srinagar - Mughal Gardens - Kargil - Leh – Pangong Lake – Khardungla Pass. Duration: 08 Nights / 09 Days Package. 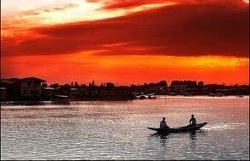 02 Nights accommodation at Srinagar in Houseboat. 01 Night’s accommodation at Kargil in Hotel. 01 Night’s accommodation at Pangong Lake in Hotel/Camp. 04 Night’s accommodation at Leh in Hotel. 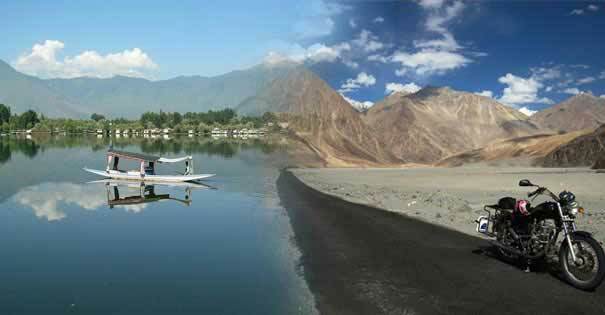 Destinations: Srinagar - Kargil - Leh – Alchi - Pangong lake -Nubra valley - Tsomoriri lake - Khardungla. 01 Night’s accommodation at Srinagar in Houseboat. 01 Night’s accommodation at Kargil in Hotel. 01 Night’s accommodation at Tsomoriri. 01 Night’s accommodation at Pangong Lake in Hotel/Camp. 01 Night’s accommodation at Nubra Valley in Hotel/Camp. 05 Night’s accommodation at Leh in Hotel. Sometimes you want to plan a trip to your own liking as according to your schedule & time as against taking a set group package tour, which leaves on fixed dates. We handle the nitty gritty of planning such a trip complete with hotel bookings, car rentals, air/rail bookings, airport/train transfers & what not. Just let us know the destination you would like to visit & we will take the hassles out from planning & executing such a fun trip.